Hello, friends, There's no shortage of apps or gadgets available to track your phone or a lost item, but they aren't much help if you discover them after the fact. 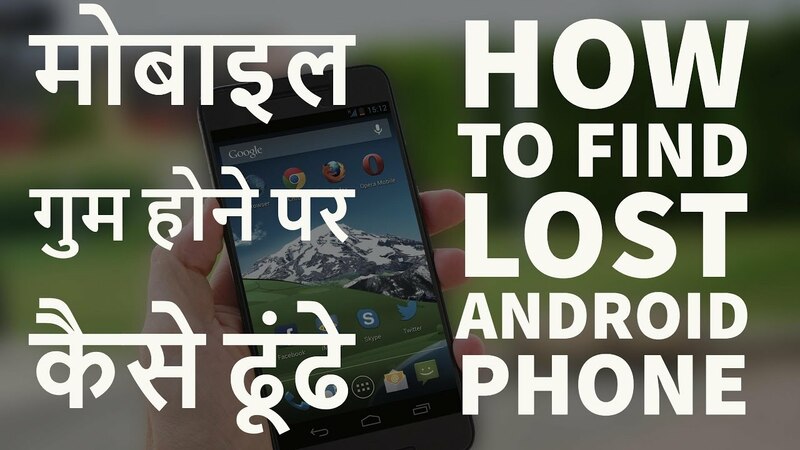 How To Find Lost Android Phone Without Installing An App 2017 - मोबाइल गुम होने पर कैसे ढूंढे and please don't forget to Like, Share, Comment and Subscribe to our Channel for more videos. There's no shortage of apps or gadgets available to track your phone or a lost item, but they aren't much help if you discover them after the fact. Android Device Manager displays your phone's location on a map and allows you to remotely lock, alarm and wipe its memory to protect your data if it's been stolen. Andy shows you the simple steps to follow to check that the features are activated on your phone.